For now, intentions are to have two house teams and another 2 Fresh type roster. The Dark Angels and Gold Miners’s Daughters would stick to their current rosters with a few exceptions. While some players take the time off, others wishing to continue training through the winter ahead would do so with the Gold Miners’s Daughters. Newbies as soon as they pass their minimum skills requirements would be pooled into the lottery for roster spots on the teams, “unless they have a specific preference.” And out of the talent in the league a more experienced travelling team would emerge. The constant challenge for leagues is a place to practice. Space in the city is at a premium, so the teams will practice separately on various gym floors through the school systems. They have faced resistance to having wheels on floors, but the Catholic school board has been “generous” in allowing the players to roll. No kidding. Who would dare refuse a Derby lady? 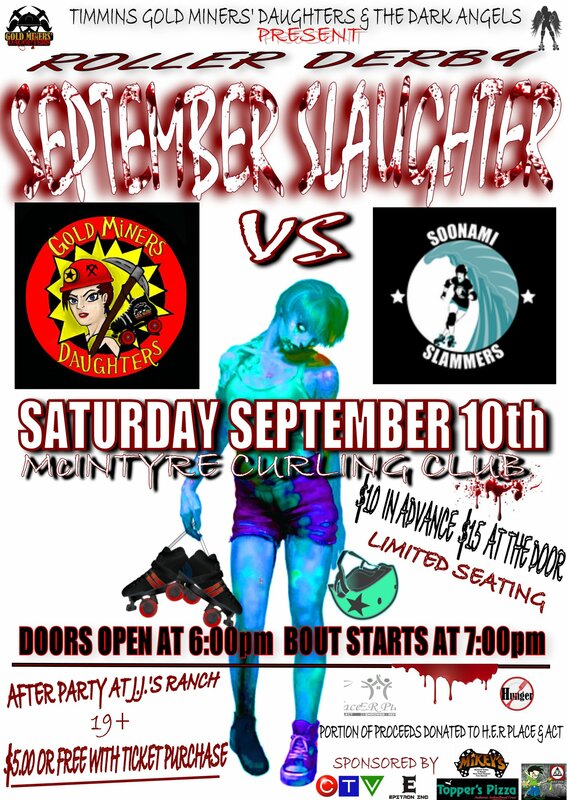 In the meanwhile, the next bout in Timmins takes place this coming Saturday on September 10 where the Gold Miners’ Daughters take on the visiting Soonami Slammers who are kindly venturing forth from Sault Ste. Marie. And the bout will be announced by none other than Night Train. It’s a long way to the top, but the Gold Miners’ Daughters have proven they can take on Derby in the south by claiming the first place trophy at 2 Fresh 2 Furious and shocking a lot of Derby people in the process. Furthermore, with all the mutual support for each other by the other teams and leagues such as Nickel City or the Soo or Thunder Bay in the area and their willingness to cover the daunting distances between cities to bout each other, it has become evident there should be a vying for a Northern style Cup for North Ontario Derby Supremacy. 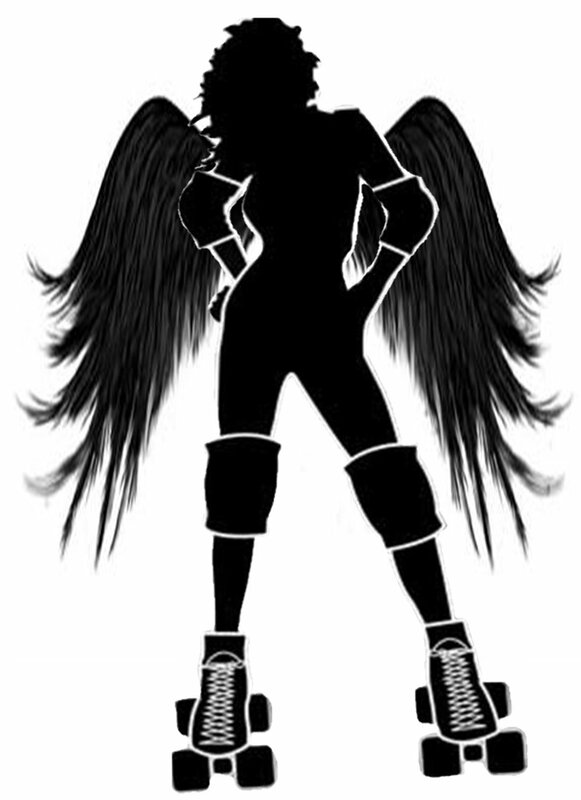 Latest update on the story as of June 2013: The Dark Angels was absorbed by the Gold Miners’ Daughters and the league was renamed the Gold City Roller Girls. There is another Northern Ontario team preparing for 2 Fresh 2 Furious this year, the Neo-Fights. 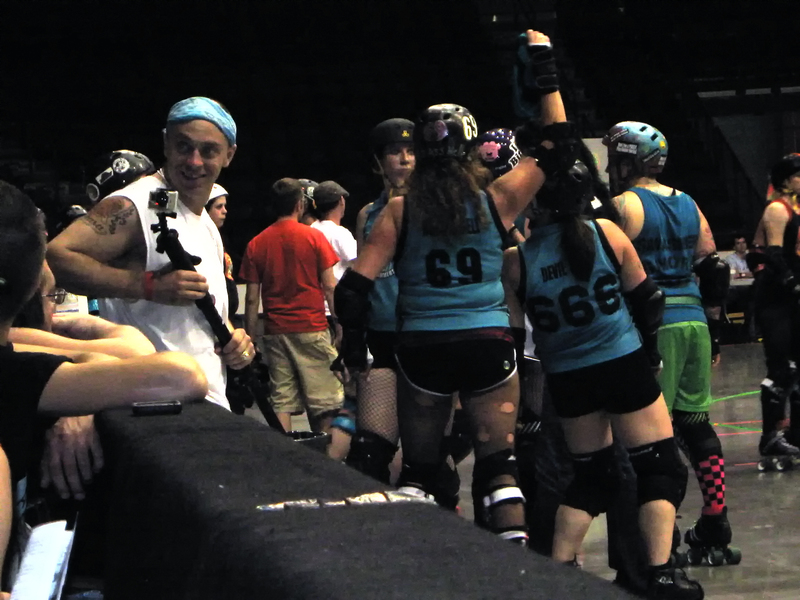 Also many of the GCRG are skating for the NORD Wildcards. Preamble: It is always very enlightening and more entertaining to hear about Derby from the inside track and the participants themselves. So here is the story from Mallory Knox UOut who came down from Sudbury to see her first team in action at the Sault Rollerderby’s Black and Blue debut [featuring Soonami and Blackheart Maidens against Timmins Gold Miners’ Daughters and Fort Frances Freak Show] and ending up yelling from the bench itself. Her story starts here. I had no idea what I was in for!! But I loved that they included me as soon as I walked in. That’s what derby love feels like! After seating my dad in a location I thought he would enjoy I set off to find “B CZAR”. Everyone seemed equipped and ready to go, taping up their equipment, et cetera. “Hotass Hell” was doing an interview with CTV. The camera was rolling on all the hustle and bustle of the dressing room, and B CZAR sat with a clipboard in hand doing the line-ups and trying to get her gear on at the same time! I asked what to do. She handed me the board with a quick description. And off we went. Everyone’s nerves are frazzled on a big bout day, and being at the enormous Essar Centre was very impressive and reminded me of the Nationals at the playoffs in Chicago/Windy City last November. The very growth of this sport in 10 years kind of hit me at that moment. We had about 300 in attendance and the fans really got into it. They yelled and cheered. They were very verbal sport lovers!!! They shouted and jumped up in their seats for every victory the Slammers had, big or small! So I worked with B CZAR’s line-up, there were a limited amount of the girls who could or would play that position. B CZAR, Smasha Yar, and DeaLyn Daisies were my main go-to girls. The Timmins Jammers were fast as lightning…..and their team as a whole was tight. They also had four players from Fort Frances’ team Fort Freak Show on board and they were some hard hitting girls from my vantage point!! At half time I surveyed the situation. I re-wrote the lines. I tried to balance it the way B CZAR had it but easing up on the jammers, and it worked. I found a good flow within the girls. I commandeered a couple to jam who normally don’t. I think they were a lot more focused in the second half. O, I know I was and I also understood my role better. The Slammers had two very experienced out of town players. DeaLyn Daisies gave us good pointers. She was a great jammer got lead more than a few times. The other out-of-towner Smasher Smore was a very strong positional blocker, but I had to throw her in as jammer a couple times. I used Smasha Yar and Goddess of Destructiona lot more in the second half as jammers. In the second half I am screaming lines to the girls. I had to correct myself a lot. I am not sure how many times but they were patient with me. I would show them the lines on the paper, however, with the sweat running down their faces they said: “We can’t see….yell it at us!! !” So that’s what I did…I started yelling! I thought it was going swimmingly. Out of nowhere I have two extra people on the track because there are two in the penalty box I haven’t seen whatsoever, and apparently no one else noticed either. So Nick L Bagg [Jeff Latham] the coach from Timmins and I were screaming at the middle refs that I have way too many people on. Jeff is a good sport. I’ll tell you that he just laughed about it after. He knew I had never done that job before!!! So we got penalized for my mistake there, and a couple other mistakes I made about who was lead jammer and who wasn’t!! I think pretty normal mistakes for a first timer. I had a blast, the Slammers were very appreciative of my help. They were patient with my foul-ups, and I did my best to have them out in 30 seconds. The Timmins girls won 133-89 but the Soo fans were pleased with the first game either way!!! 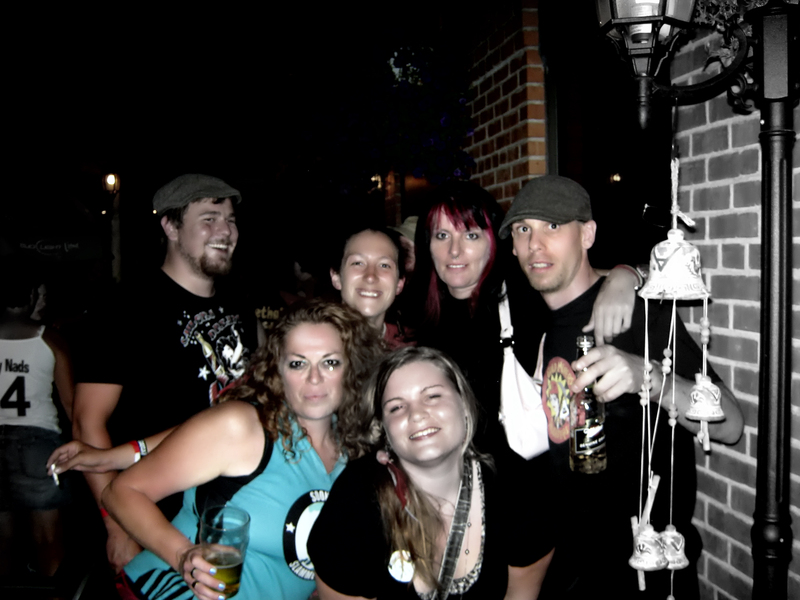 The after party was at a bar called the Rockstar Bar with a band called Obsession. 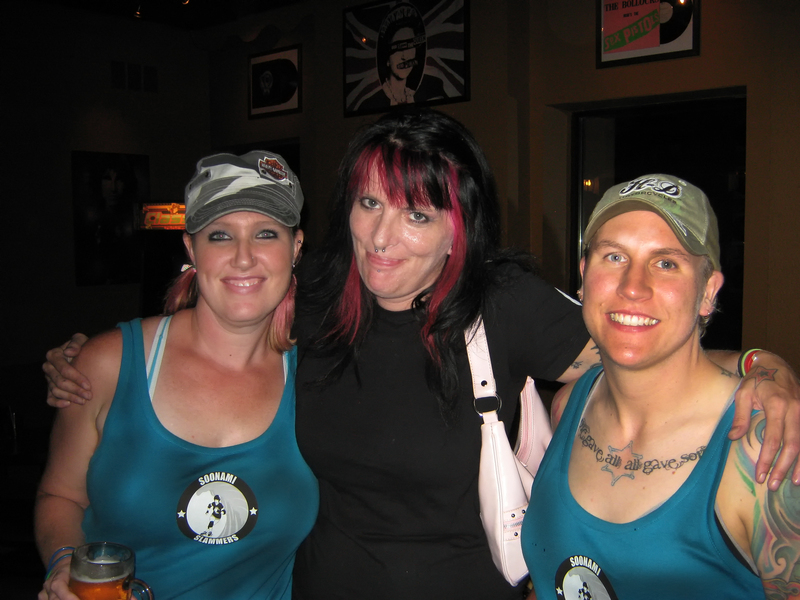 As always roller girls hit hard on the track and grab asses at the after party. 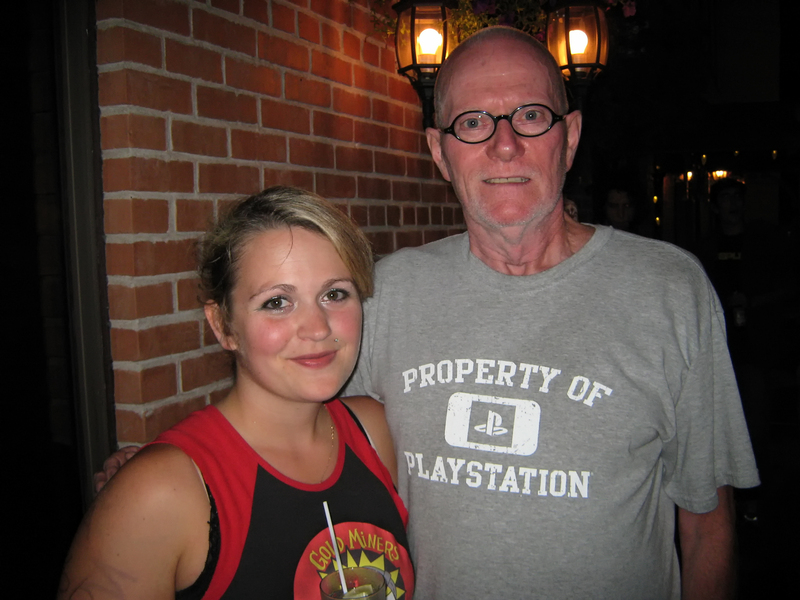 I had a great time seeing old friends….and making new ones…and my dad also had a great time. He kept saying was I can’t wait to see you do that! So basically, the Sault needs recruits, there needs to be more alternates, more choices for jammer position. Getting people committed with both time and money which are hard things to come by. That’s all the Sault needs are more girls. And refs and coach would be cool, too!!!! DSC_9977, originally uploaded by Midnight Matinee 24.